Confession: I have never played an actual MOBA video game. My computer at home is around 8 years old and wasn't top-of-the-line when I got it. My work computer I obviously want to just use for work-related things. However, I have a good understanding of the mechanics of them. First from, well, everyone else I know playing them almost-religiously. Second because I was in on the playtesting for Rum & Bones. Well, I'm kinda in the market for a new computer. 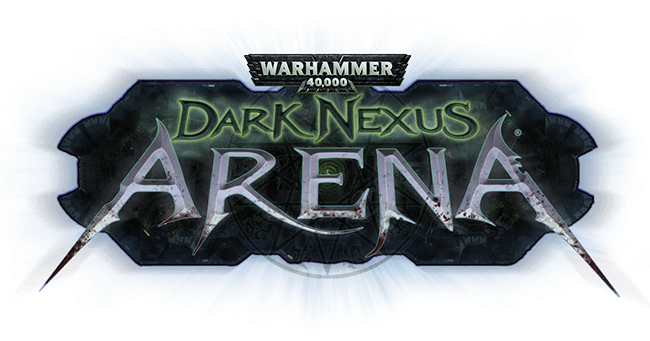 If/when I do get one, I'll probably be checking out Dark Nexus Arena, the 40k MOBA video game that's coming out. They've posted a new trailer and some details about the release. Well, that certainly makes it seem pretty exciting. Going on from some of the details they've provided about the gameplay: every basic and special attack must be aimed. This is a blending of "shooter"-style games with those of the "MOBA"-style. You get the ability to aim, and conversely, duck, as well as controlling how your character develops as you level them. Also, a change from other games in the genre, there's not exactly a "3-lane" structure, instead being more open. There's also no towers to defeat. Instead, the objective is to go and capture the enemy's Dark Nexus. Do that three times and you win. Since there's no bases to return to, player coordination is paramount. As mentioned in the headline, the game will be on Steam Early Access on December 9th.